KANSAS CITY, Mo. – Oklahoma City continues to dominate the No. 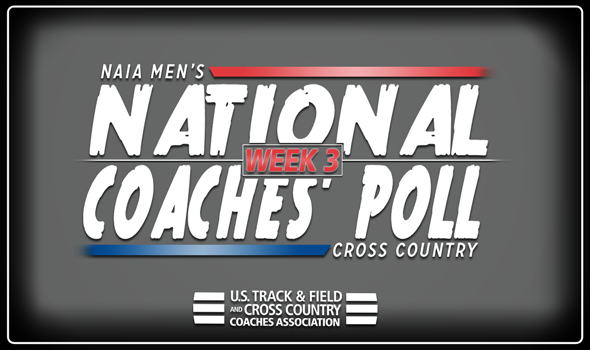 1 rank in the NAIA Men’s Cross Country Coaches’ Top 25 Poll, while St. Francis (Ill.) jumps to No. 2 with a handful of first-place votes, announced the national office on Wednesday. The Stars nabbed 15 of the 21 first-place votes available in the third poll of the season. St. Francis (Ill.) earned five of its own as it leapfrogged Southern Oregon for the No. 2 spot. Southern Oregon fell to No. 3 and has the lone first-place vote. College of Idaho and Lewis-Clark State (Idaho) round out the top-5 in No. 4 and No. 5, respectively. Top-ranked Oklahoma City takes its first 2018 victory at the Oklahoma Baptist Invitational. The team captured the first place finish over 13 other teams. Southern Oregon also holds the record for the longest active streak of being in the Top 25 with 94 straight appearances, dating back to 2008.